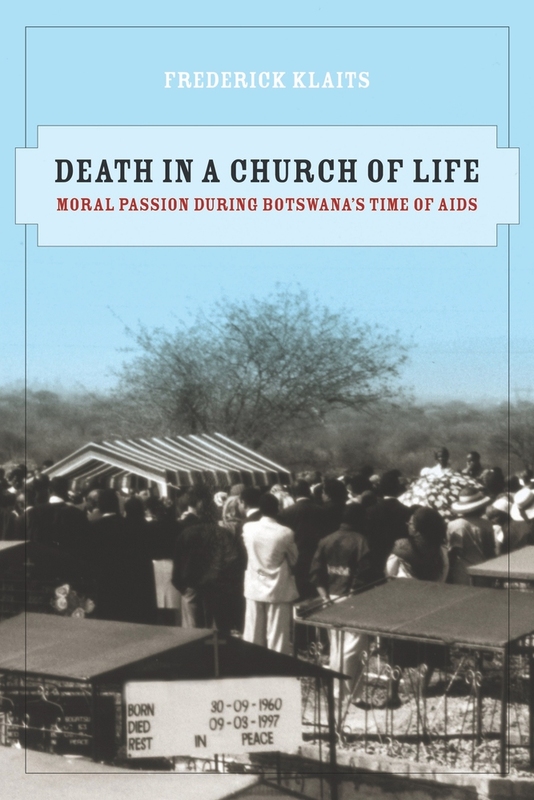 This deeply insightful ethnography explores the healing power of caring and intimacy in a small, closely bonded Apostolic congregation during Botswana’s HIV/AIDS pandemic. Death in a Church of Life paints a vivid picture of how members of the Baitshepi Church make strenuous efforts to sustain loving relationships amid widespread illness and death. Over the course of long-term fieldwork, Frederick Klaits discovered Baitshepi’s distinctly maternal ethos and the “spiritual” kinship embodied in the church’s nurturing fellowship practice. Klaits shows that for Baitshepi members, Christian faith is a form of moral passion that counters practices of divination and witchcraft with redemptive hymn singing, prayer, and the use of therapeutic substances. An online audio annex makes available examples of the church members’ preaching and song. Frederick Klaits, a cultural anthropologist, teaches in the Thompson Writing Program at Duke University.